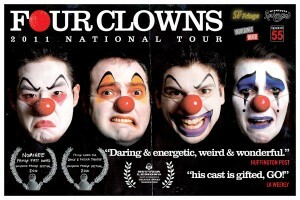 Four Clowns is a physical, musical and emotional journey into what it means to be a human. 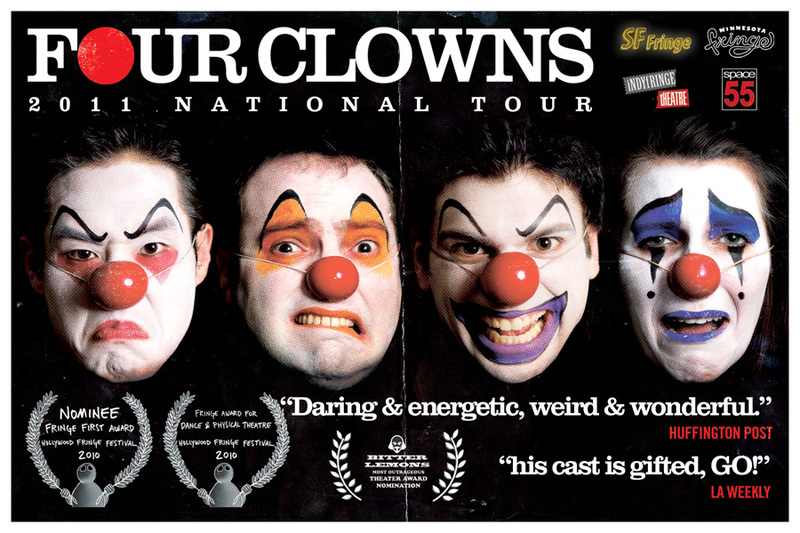 Follow four clowns who represent the four clown archetypes; the sad clown, the mischievous clown, the angry clown and the nervous clown as they get together to lament and reminisce about their past. As the old adage goes, ʻlaughter is the best medicineʼ but, laughter comes most earnestly when reflecting on past sorrows. As the clowns tell their tales of woe and elation from childhood to adulthood we discover that really they are all the same, and so are we.